Space is limited to 300 participants. Registration must be received by May 15th. 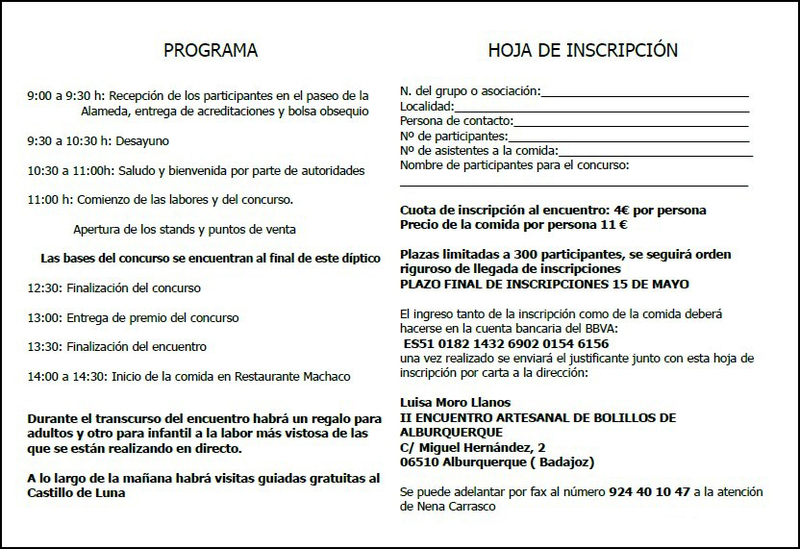 4 Euros per person registration fee, 11 EUR extra for meal. The contest lasts one and a half hours, and involves work on a pattern with 16 pairs of bobbins, thread size 30. 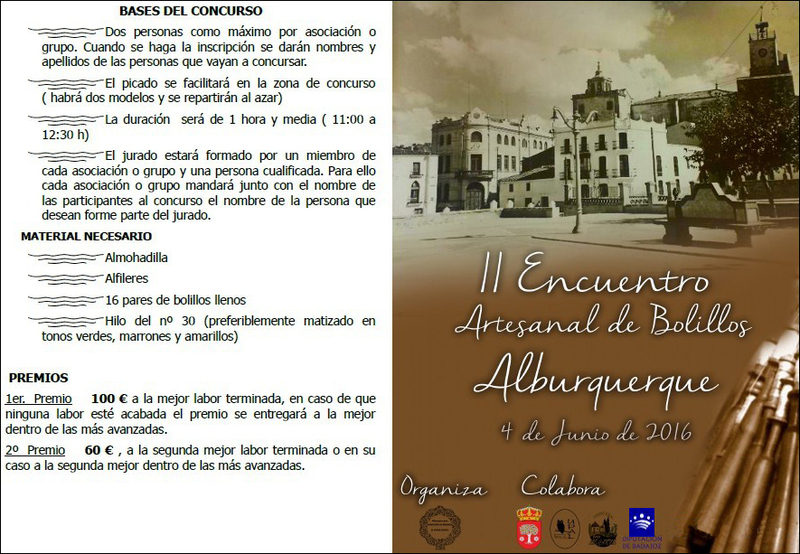 100 EUR and 60 EUR 1st and second prizes for the best and second best finished works. 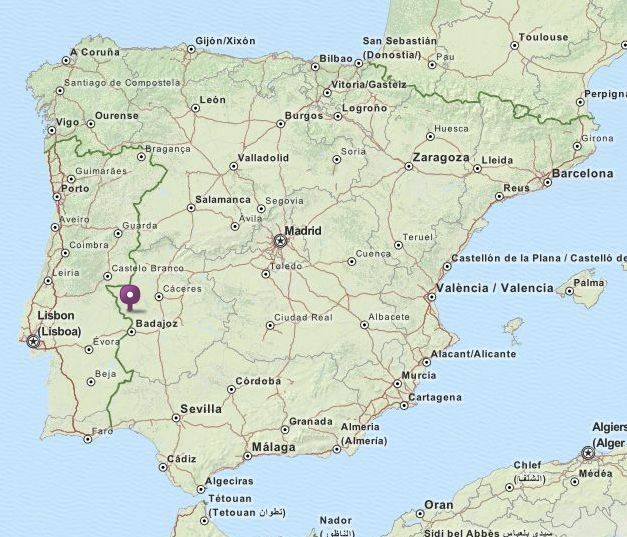 Alburquerque, Spain, and Albuquerque, New Mexico (note the difference in spelling). Yes, they are related as sister cities.